There is much more that I want to write about in this blog, including many of my post-Africa musings on Scripture, the state of the world, and my life in general. But before I go any farther, I would be remiss to not post a public thanks in memory of Diane Grey. 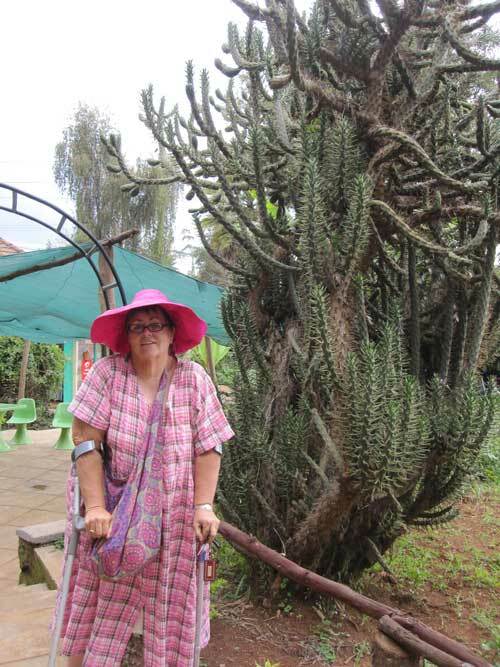 When I left Eldoret on August 10, it was Diane who dropped me off at the small local airport. Little did I know it would be the last time I would see her–in this dimension at least. Jesse's nickname for Diane was "Pinky." I owe Diane a huge debt of gratitude. It was because of her hospitality that I had the opportunity to spend 6 months in Kenya. I met her in early September of 2010, about a month after the passing of her husband Jesse. They had been living in Greenville, SC, waiting for him to recover from kidney complications due to diabetes–and then they planned to return to Kenya, where they had spent the past 20 years. After Jesse’s passing, Diane immediately began to make plans to return to her beloved adopted homeland. That’s when I entered the picture. My pastor, Wendall Ward, connected us, knowing that I was praying about returning to Africa for a longer visit. (I had previously visited the nation of Niger in the Spring of 2010 for a 17 day trip with a group from our church). After chatting on the phone with Diane and spending a day together in Greenville, we both agreed for me to make plans to come to Kenya in 2011–and that is how my whole wonderful adventure began. 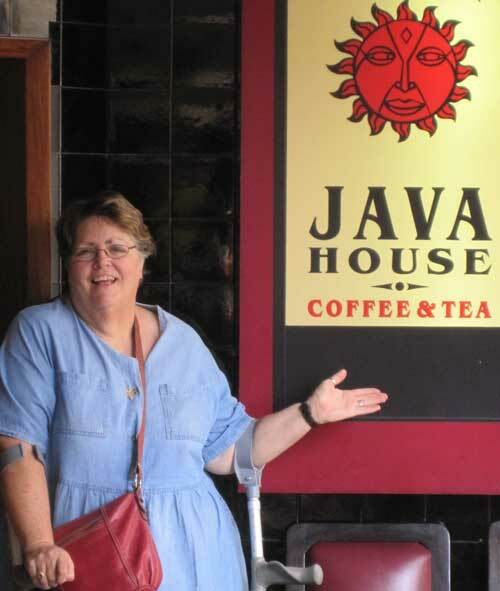 She showed me a lot of the ropes of living in Kenya, introduced me to some wonderful people, including everyone I met through SILA and EERC. (Both these ministries are direct fruit from their ministry, Kweli, and I told Diane I saw Jesse’s footprints all over the place in people that I met—even in remote places like Barwessa). I never got to meet Jesse in person, but I was able to know him a bit in the spirit through his African family, as well as Diane. In addition to being a Bible teacher with a prophetic edge, he was also an artist–and his paintings and drawings of Kenyan wildlife filled Diane’s beautiful African-themed house. (I miss her big, sliding glass window/doors that filled the living room with light and opened directly into her yard. I miss those beautiful ever-flowering trees, in whose shade I used to pray…I miss the grove of sugar cane outside the kitchen window. I also miss her wonderful cooking, especially that Nigerian Peanut soup). Diane loved to giggle. She had a wry sense of humour and a practical outlook on life and ministry. She loved children and served them in many practical ways, like paying school fees for them to go to school, making curtains for the children at Dominion Home or filling 300 bags of popcorn for the EERC kids when they went on field trips. Limited in some ways by her health challenges, she did what she could. She was a strong support and mother figure to SILA, and also greatly assisted Ann Fyall in overseeing the Dominion Home. 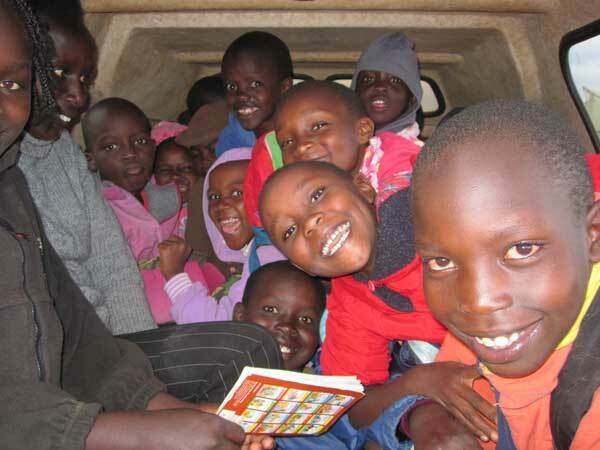 (Ann lives in the United States and comes to Africa several times a year to manage the Home and connect with the kids, etc). She was a wonderful and generous hostess. 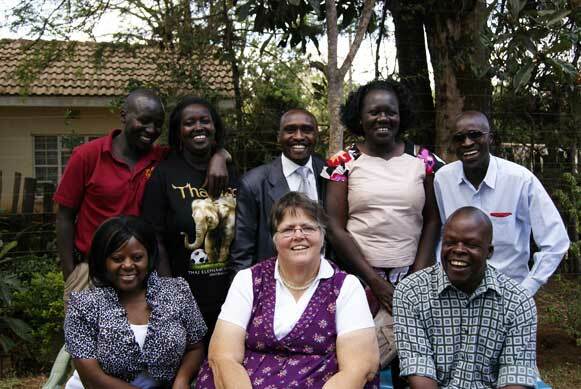 Together, Jesse and Diane did a great work in Kenya, teaching believers the gospel of the kingdom. They played a foundational role in teaching and discipling the core group of SILA (David Kipyego, Joseph Kibet and Abraham Tarus and their families—as well as many others). While other missionaries and aid workers, as well as Kenyans themselves bemoaned the rampant corruption in the Kenyan government and church (I heard piles of horror stories from the first day I arrived in Kenya, believe me), SILA truly stands out a solid ministry of integrity, transparency, righteousness, humility and true service. I see EERC as not only a model school for Kenya, but Africa as a whole. If a school in the USA was doing some of the things that EERC is doing (ie, organic garden on the school property that the kids eat from, power generated by bio-gas from the local cows, etc.) they would be considered cutting-edge…and that is to say nothing of the loving, nurturing and supportive environment that the school provides not only for the children, but also for the teachers and the rest of the staff. It was amazing to see such an incredible model of how great a school can be–in Africa no less! Diane passed away on October 3 of 2011, just about 6 weeks after I had returned back to the States. She had several long-standing health issues, but her passing was sudden and unexpected. I know that her many friends in Kenya must still miss her greatly. The last I talked to her, she was still planning on building a house on her Kweli property (next to the children’s home) and growing an acre or two of coffee–the blossoms of which she said smelled like jasmine or orange blossoms. She had spent part of her life in Florida, and the blossoms would remind her of home. She was looking forward to their fragrance blowing through her bedroom window at night. Though she initially hated Africa, (she told me that she cried most of her first year there) her life is a testimony to the transforming power of God…In those early days, she would have never believed it if someone told her that she would happily live the rest of her life in Kenya, even returning alone to the place she once loathed to spend the rest of her days there. As her husband had requested before he died, she carried his ashes with her across the ocean and scattered them over the Kerio Valley. Less than a year later, she joined him. But through the lives of those they touched, Kenya will never be the same–and the legacy continues, even in their absence. I think that is a most happy ending to a wonderful story.